I know that doesn’t look like a lot of stuff, but that unit is a double, so imagine the space behind the 2nd door filled to the very top with crap. 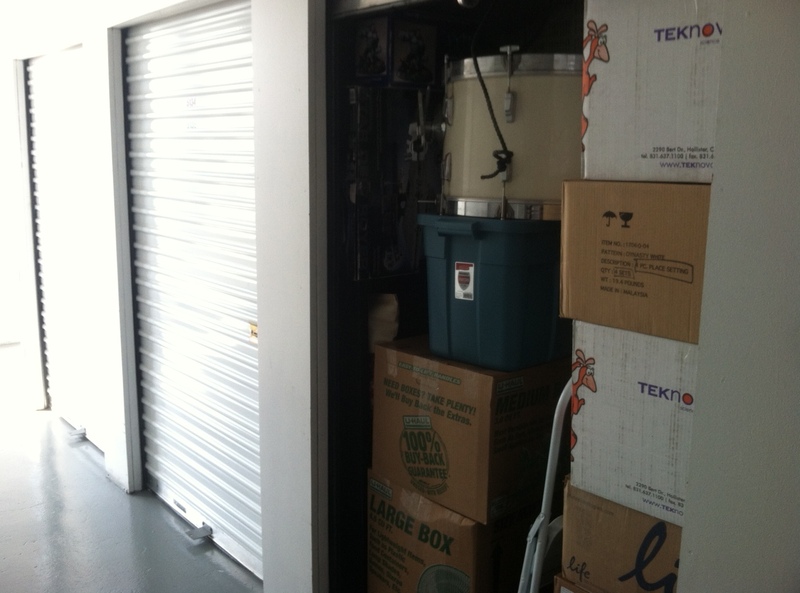 We’re talking a 20′ foot tall by 5×5 storage unit. Currently, there are two people’s worth of stuff in there. Mine and a friend’s. Now, you’re probably asking how is it humanly possible to fit the worldly possessions of 2 people in such a tiny space. It’s called shrink ray and pixie dust, people. I’m just about done moving stuff, so I’ll be able to get back to serious writing and post more frequently. In the meantime, keep guessing where the box will be.